2018 is going to bring new record for the biggest Icelandic airport with 10 mln passengers at the end of the year. However, this milestone might be postponed by a recently appeared trend of decreasing numbers of Icelandic tourism. 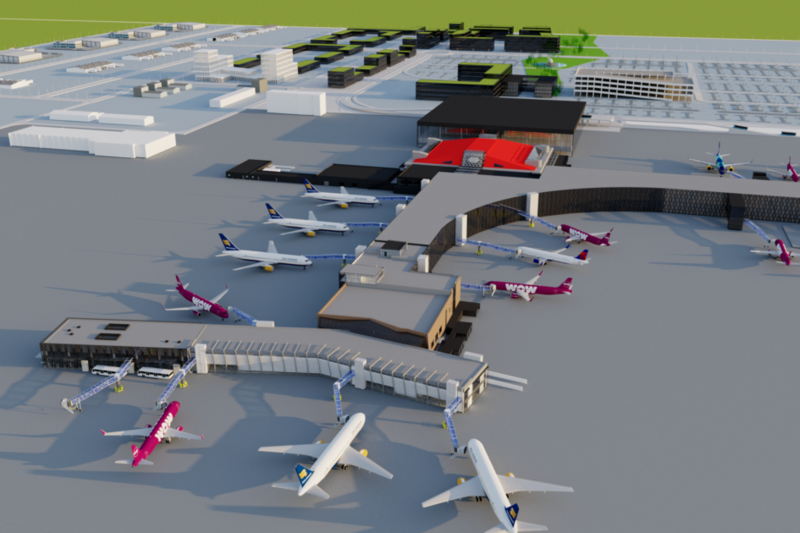 Nevertheless, Isavia reports about dozens of millions in the next decades and invests in expanding of Keflavik airport. Flugblogger learned why. Rumours became true. 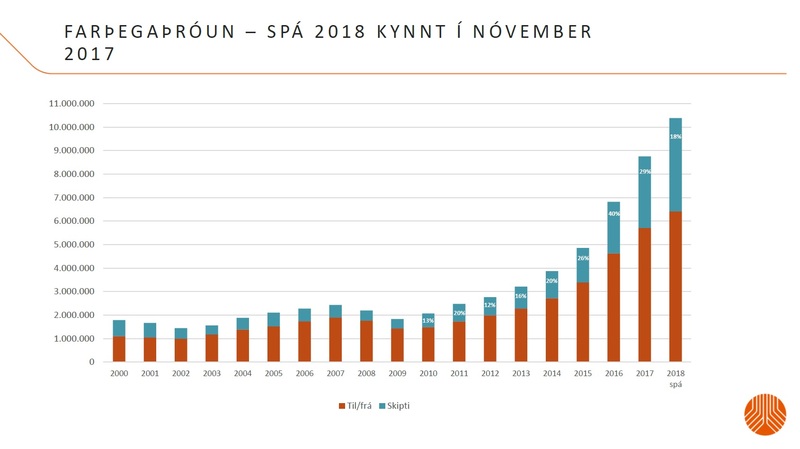 Icelandic tourism, the fastest growing industry in Iceland, is slowing down in 2018. This year is going to be the worst since 2010 in terms of growth, together with decreasing numbers of tourists in high season. There are several points of view of why this has happened. While some people emphasize strengthening the economy of Iceland, which leads to expensive Icelandic krona, others say the market is so overcrowded by customers that allow companies to “ride a wave” and to increase prices without any reason because of enormously high demand. Nevertheless, the new trend makes everybody in aviation and tourism industry be more careful about their next step in business. Newly elected Chairman of the Association of Tourism Services Bjarnheiður Karlsdóttir told Flugblogger, their main concerns that business will be as good this summer as usual, because tourists stay shorter and they travel less to the remote areas. “We of course concern of what kind of tourists are coming, because a number of tourist does not tell the whole story. In addition, in June, July and August this year will be the decrease. That is the first time since I do not know when 2009 or 2010 maybe. That is a new situation. This is, of course, very bad because there have been many investments and the prices overall market are rising, according to rising of the krona, during last 2 years. Investments were big and some companies most probably will suffer because of that” – said Bjarnheiður Karlsdóttir. The trend, of course, affects Icelandic airports operator Isavia, which now has to revise its plans in a new environment. In November 2017 Isavia presented its passengers forecast for the next year, which was saying more than 10 mln persons are going to use the main Icelandic airport on their way to/from Iceland and between Europe and America. In May 2018 it seems Isavia’s expectations were too optimistic. Isavia commercial director of Keflavik airport Hlynur Sigurdsson told Flugblogger, they already corrected the final number for the end of 2018. 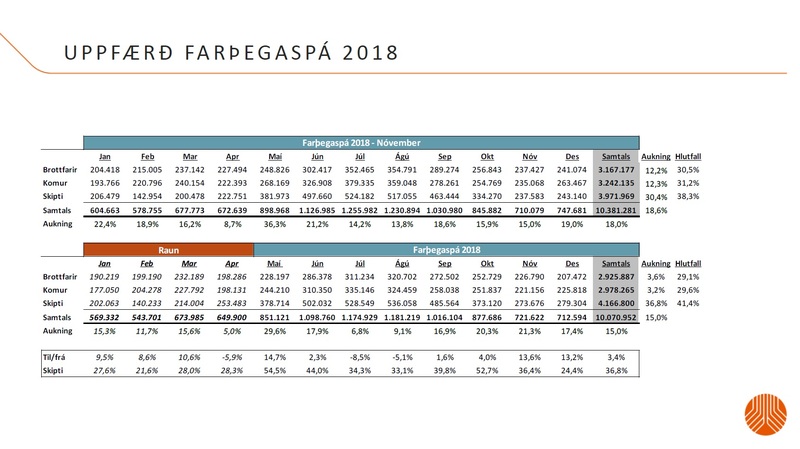 “What we had in our forecast, which was presented in November 2017, we are going to grow from around 8.8 million passengers to 10.4 million passengers. We have seen so far this year it is a little bit less because of weather disruption. For the first 2 months [of 2018] the grow was a little bit of what we predicted. Based on the newest conversation with the airlines and the bookings, we see that is probably going to end up having 10.1 million passengers. So, we are probably going to reach the 10 million passenger goal, but now as we expected 10.4, so probably it will be 300 hundred thousand fewer passengers going through the airport. 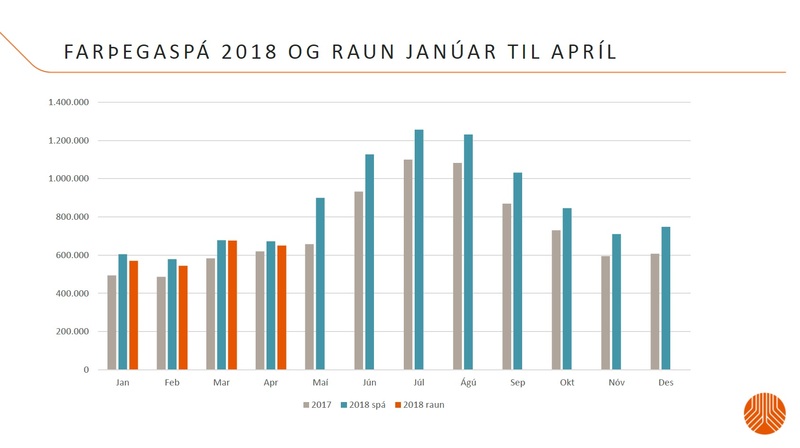 Still, it is 15% increase from 2017 to 2018, but not 18.6% as we predicted” – said Hlynur Sigurdsson. He added that Air Iceland Connect is going to come back to Keflavik with its connections to Akureyri. The program was launched 2 years ago and prolonged summer season of 2017 and winter season 2017/2018. Then Air Iceland Connect stopped the service in summer 2018. “But recently they announced that they going to start again next winter. I think they are planning around 4 times a week to have connection Keflavik and Akureyri. Actually, other Icelandic airports try to get direct flights” – said Hlynur Sigurdsson. Among these, he mentioned “Superbrake” initiative between Akureyri and Humberside airport in North Lincolnshire, England. According to their website “Superbreak are offering 3-night short break packages on the 21st December 2018. Along with the 18th January, 8th February and 22nd February 2019”. Despite the slower growth of tourism at the beginning of 2018, Bjarnheiður Karlsdóttir believes the difficulties are temporary. Emphasizing that krona is too way high these times, she is sure that Iceland as a unique destination will remain popular among tourists all over the world. „We are looking into the future with optimism because we believe that Iceland is a unique country, which can, if we plan and do what we have to do, be a destination in the future. [The decreasing of a number of tourists] is a temporary „hole in the road“. I’m very sure [the market] will stabilize itself” – said Bjarnheiður Karlsdóttir. 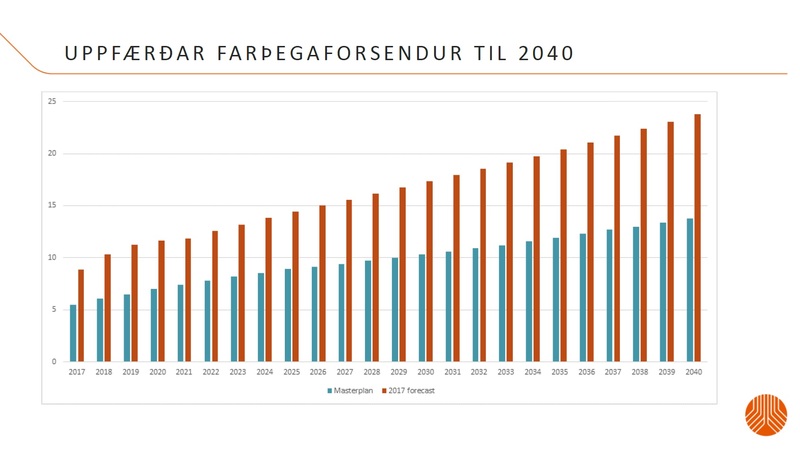 Isavia shares her optimism, presenting its forecast for paxflow until 2040, where more than 23 mln people will use Keflavik airport during a year. The forecast looks like a linear function, which seems like Isavia forgot about „holes on the road“ like in 2018, however, Managing Director of Technology and Asset Division Isavia at Keflavik Airport Guðmundur Daði Rúnarsson told Flugblogger, risks are included. “We are considering risk, but we do not know which year it’s coming. So, we take them linearly, but each year actually progress according to forecast on GDP and fleet orders of airlines, and so forth. We actually make each year individually, but the risk is assigned on the whole forecast period. Because you have no idea if there is a downfall at this year or that year and presenting it in forecast would be not unreachable” – explained Guðmundur Rúnarsson. 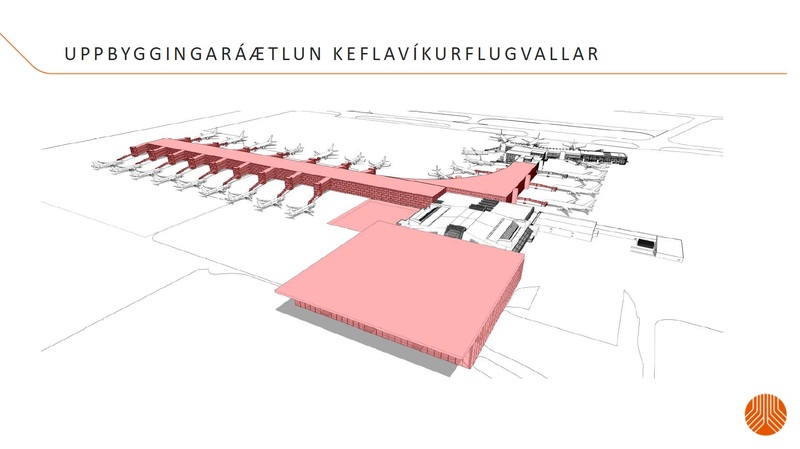 To meet this paxflow Isavia organized massive reconstruction of Keflavik airport terminal and apron. According to its master plan during the period from 2012 to 2021 about 60 000 square meters will be built. It includes extending of shopping area, new customs buildings, waiting areas and departure gates. The general look is presented in this video. Right now the phase of reconstructing the corridor between main building and pier is active. Rúnarsson said it is „design stage“ now. It is supposed that later in 2018 Isavia will finish tender and in January 2019 the actual reconstruction work will start. Until this Keflavik airport has to deal with paxflow with its overcrowded facilities. He added their main efforts are pointed to the terminal, however, the runway system should be upgraded in future. “When we come up to about 25 mln passengers, our forecast indicated that the current runway system will not be able to handle. So, we reserved the land for it, but there is no plan for constructing or designing it” – Rúnarsson said.